Inside the belly of a devil! Hot Flashes? Too young for that? 🙂 . These expeditions will expose you to the elements like never before, pit you against forces of nature, stun and revitalize you all at once. A ‘settlement’ of crumbling walls and rusting pieces of mining machinery, Dallol, a volcanic crater in the fearsome Danakil Desert, is called ‘the cruelest place on earth’. 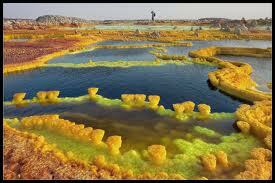 At 426 ft below sea level, it is the hottest hub of Danakil. 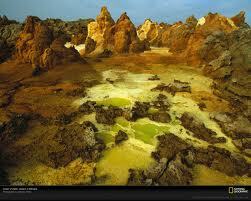 You need to camp with camel caravans in the village of Hamed Ela and scramble at dawn to get to Dallol. By the time the sun decides to act up, it’s time for you to leave, unless you literally want to be burnt down. But if you can brave the dangers and the intense heat, Dallol rewards you with a spellbinding landscape unlike anything you’ll ever see. Hundreds of mineral-spewing geysers have spitted out a world of psychedelic colors – patches of lemony yellow, slimy green, deep rust and rich purple in this wonderland strewn with sulphur deposits, iron oxide crusts and unexpected vents of liquid. Intrepid visitors describe the feeling as being ‘inside the belly of the devil’. Key to killing it: You need a streak of heroic masochism. Also, endless supply of bottled water, besides sunblock, reliable jeeps and drivers, cooks and armed guards. Red alert: Say a prayer before you step into Dallol. The Afar tribesmen – once known for castrating visitors – are still vicious. 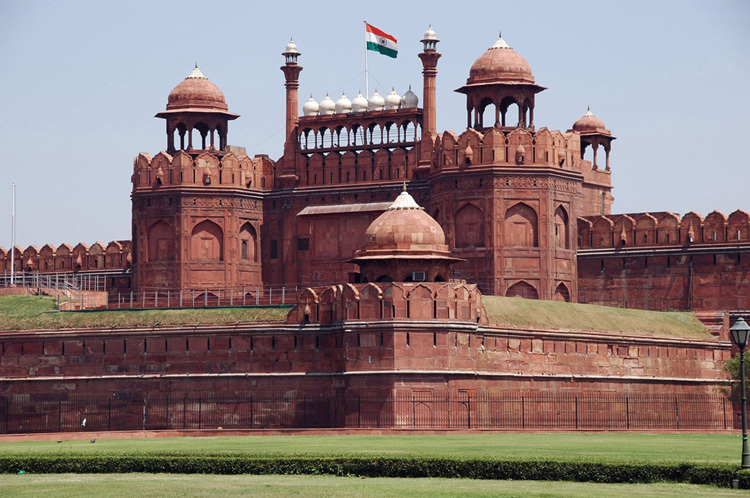 Despite government protection, the area is known for kidnappings and killings. Beware of stepping child-like into the colorful, gurgling acidic lakes. Many of them are known to be poisonous. Best time to go: December, when the sun is likely to be somewhat benevolent.